Vesalius was born in December 1514 in Brussels, Belgium, to a family of physicians and apothecaries. From 1529 to 1536, he attended the Universities of Louvain and Paris, where he learned the techniques of animal and human dissection. He focused on learning the human skeletal system, using bones readily available from Parisian cemeteries. In 1537 he earned his medical degree from the University of Padua in Italy and took a post there as lecturer in surgery. He gave popular human ­dissection demonstrations, insisting on performing them himself. In school he had been taught the theories of GALEN, the most accomplished physician of the Roman Empire whose books on anatomy were still considered the authority in medicine in Renaissance Europe. As Vesalius conducted more dissections and learned anatomy directly from cadavers, he grew to question Galen’s views. Because Galen had dissected mostly animals, Vesalius reasoned, Galen had simply made inferences about the human body from those dissections. While at Padua, Vesalius worked on a textbook of human anatomy, which was published in 1543 under the title The Seven Books on the Structure of the Human Body. The work consisted of a complete and careful description of human anatomy, with emphases on osteology, myology, and cardiology. The refinement of its printing and illustrations and the clarity of its organization, as well as its comprehensiveness, made it a milestone in biological studies. The work earned Vesalius the position of physician to the Holy Roman Emperor, Charles V.
From 1553 to 1556, Vesalius built a flourishing medical practice in Brussels. In 1559, he moved to Madrid, Spain, to work as a physician for Phillip II, the son of Charles V. He obtained permission to go on a religious pilgrimage to Jerusalem in 1564. He died during the return trip and was buried on the Greek island of Zacynthos in June 1564. Vesalius’ legacy lies predominantly in his comprehensive description of human anatomy based on direct observation of human cadavers. He founded the study of anatomy as a scientific discipline distinct from the fields of medicine and biology and helped to loosen the hold that Galen’s theories had over medical research. 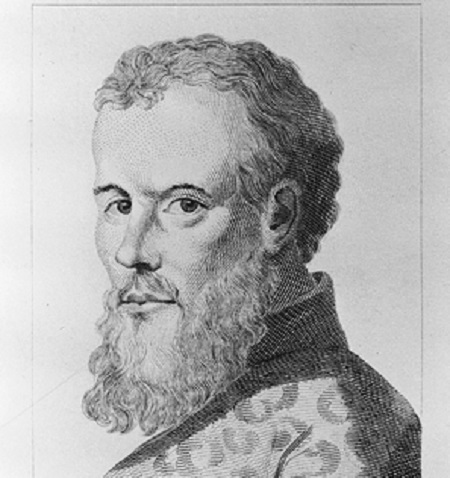 Vesalius criticized the authority of Galenic medicine during a time when other prominent physicians were leveling similar criticisms. For instance, Swiss physician PARACELSUS, who used his understanding of chemistry and new drugs to promote health and healing, directly opposed Galen’s theory of the four bodily humors (a theory originating with HIPPOCRATES). While Galen’s achievements in antiquity led the practice of medicine forward, his erroneous theories and methods restricted medical progress for centuries. The revolutionary ideas and methods of Vesalius and others helped to free western medicine from these limitations and to move medicine forward. Vesalius’s work inspired anatomical research well into the seventeenth century. For example, Johann Georg Wirsung described the pancreatic system in 1642, and Jean Pecquet discovered the thoracic duct in a dog in 1647. These discoveries were the result of progressive efforts in dissection. Vesalius’s anatomy textbook ranks among the most important biological treatises in the history of western science. It marks the beginning of thorough, direct observation of internal human anatomy, and the work remained highly influential in medical curricula through the eighteenth century.